Here are the most notable insights into some of the best 'Healthcare App Development Companies' from our research. The evolution of Healthcare and Medical Fields has been one of the most captivating things to witness and be part of. The medicine and healthcare industry is expanding beyond different verticals and is also breaking some of the boundaries that were defined earlier. Today we have access to a number of healthcare resources as well as medical services and a huge amount of credit goes to the healthcare &medical mobile app development companies. This is the reason why we keep our readers up-to-date with the latest talk of the mobile app industry with our 'Reports' featuring some of the best application development companies in the world. Before we begin with today's report of top healthcare & medical app development companies, we would like to state that the below-mentioned app development companies are listed in no particular order or any level of priority. This list is compiled with in-depth research and extreme precision by our team. 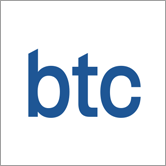 Boston Technology Corporation, also known as BTC, is one of the top technology solution providers that adds value to their clients' businesses by offering them highly innovative and efficient enterprise mobile cloud-based application development services. Over the years, BTC has partnered with several emerging startups as well as Fortune 500 companies. The app development team of BTC has been listed on the NC 500/5000 list for the last three years as America's fastest-growing private company. Some of their well-known clients are Farms2Tables, Harvard School of Public Health, MIT and Fidelity. Services: Digital Health and Strategy, Custom Software Development, Mobile App Development, Web Development, Software Testing, Strategy Consultation, Engineering Solutions, Support & Maintenance, Staffing Solutions. Areas BTC Helps with: Digital Transformation, Clinical Research, Care Management, Value-based Care Transition, Population Health, Interoperability, AI, IoT. CodigoDelSur is a well-known mobile app development company that is all about offering cutting-edge mobile apps and services to their clients in their respective business verticals like healthcare and medicine. Their app developers and designers work with the aim of combining innovation with seamless functionality. Until that date, the company has helped more than 200 US-based startups and SMEs (Small and Medium-scale Enterprises) to excel by developing and designing their software, mobile/Web apps and other digital products. Services: Mobile App Development, Web Application Development, Gaming Development, Graphic Designing, UX/UI Strategy, Chatbot Application Development, App Programming and Maintenance. Impekable is a mobile app development and User Interface (UI) design studio that is based in San Jose, CA which has made a name for itself in the global market by delivering the best output possible to clients globally. From emerging startups to well-established international organizations, the team of Impekable has provided their high-end services to all. In addition to this, the company is also officially partnered with Aruba Networks, Cienet, Google Vendor and Twilio, which only adds more to its achievements. Impekable's team expertise in technologies like the Internet of Things (IoT) and Blockchain. Services: User Interface Design, Mobile App Development, iOS App Designing & Android App Development, MVP Design & Development, Rapid Prototyping, User Experience Design, Web Design & Web-based App Development and Enterprise Web Application Development. Appinventiv is one of those few names that holds the title of guaranteed 100% client satisfaction, which is backed up by comprehensive and innovative digital solutions. Their team of designers, testers, analysts and application developers understands the current need for the healthcare industry. The company has worked on various large-scale executed projects with numerous brands from across the globe. They believe in converting the client's requirements into a highly efficient IT solution. Services: Android App Development, iOS App Development, Blockchain App Development, Product Design, Project Management, Quality Assurance, Strategic Consulting, Healthcare & Medical App Development, React Native App Development, iBeacon and Flutter App Development. Table XI is a renowned software development and UX design company that has more than 16 years of experience in creating mobile applications, interactive websites and personalized digital experiences for hundreds of clients. Their main aim is to use the power of software consulting and lead it towards a phenomenal product. Although their team only consists of 35 highly-talented professionals, they never fail to deliver a complete project by the client's pre-defined deadlines. Table XI’s team idea of a software development consultancy revolves around one big opportunity for doing tech right. Y Media Labs a.k.a YML can be referred to as an innovative mobile and web application development company with the main objective of transforming app ideas into an app-reality. The digital app development projects built by the team of YML provide real impacts on their clients' business. From working with elite names in the tech industry to uncovering the real reasons why the majority of businesses are not able to succeed, Y Media Labs is here to guide you through all of this. Services: iOS App Development, Android Application Development, Product Strategy, Cross-Platform Development, Mobile User Experience Design, Mobile Quality Assurance (QA), Testing & Deployment, Mobile Roadmap Consulting, Responsive Mobile Web, Consumer & Enterprise Apps and Digital Strategy. The team of Technology Rivers believes in selecting a simple yet effective approach that consists of creative visual designs to leave a good first impression on the users. The company specializes in cloud-based Web and Mobile Apps development that mainly focuses on Healthcare and HIPAA. Technology Rivers is also a reputed development partner for one of the Top Rated featured apps in major app stores, including iTunes and the Google Play Store, that boosts them to build highly scalable and flexible Web products. Services: Continuous Integration, Development Process, Build Process, Configuration Management, DevOps Engineering, Cloud Computing, Server Provisioning & Automation, Continuous QA & Testing, Application & Data Migration and Visual App Designing. Iteo is made from the constant efforts of more than 80 highly skilled professionals who are ready to take over any challenge that a client brings to them. They call themselves an innovative team of movers and shakers that hold caliber to turn the ideas of clients into visions of scalable as well as robust digital products. Right from the beginning, Iteo's team is known to act as consultants that offer enriching ideas backed up with years of knowledge and experience to ensure smooth integration of services. As a leading team of mobile and web app developers in USA, Ready4S has successfully delivered more than 120 mobile application projects. With over five years of experience, they have managed to implement some of the biggest Web-based application ideas across 30+ countries. Other than that, they have even scored many awards and other renowned titles to their names such as Mobile App Developer of the year 2015 & 2016 by AppFutura and AppIndex iOS Developers Rank in the USA. Services: iOS Application Development, Web App Development, Android Application Development, React Native App Development, Mobile App MVP, Healthcare Application Development Services and Designing Strategy. Digiryte is a top-notch Web and mobile application development company that is mainly known for its technical expertise and excellent business knowledge. The company that first started as a tech start-up and built itself into a renowned brand with a global presence now focuses on helping other startups to achieve their big break. Their team is combined with highly skilled professionals that include experienced innovative consultants, growth hackers, creative designers, innovative developers and data scientists. Services: Technical Consultations, Web-based & Mobile Application Development, Complex cloud-based systems & bespoke mobile applications, AR/VR (Augmented Reality/ Virtual Reality), Artificial Intelligence, Blockchain and IoT (Internet of Things). Mercury Development is another top software development company that is based in the U.S. Their teams started creating apps for iOS, OS X, Android and Windows platforms back in the year 1999 which takes their expertise to another level. Today, they have more than two hundred mobile app experts working for them that have delivered 400+ projects successfully. With more than 18 years of experience in the field of mobile and web app development, the apps created by Mercury Development are being used by millions of people on a daily basis. Services: Web Application Development, Mobile App Development, Branding, User Interface, User Experience (UX), Blockchain Development, AR/VR, Mobile Strategy Services, Full-service Engagements to Startups and Enterprises. Netguru is an application development company that crafts unique digital solutions and software for companies as well as enterprises that wish to change the world. As a strong team, they deliver digital products to top startups, Fortune 500 companies, and also for well-known international brands to help them in solving customer issues through software solutions. Services: Web Development, Ruby on Rails, Node.js, Frontend Development, React.js, Progressive Web Apps, Python, DevOps, Mobile Development, iOS Development, Android Development, React Native, Product Design, Product Design Sprint, UX Review, UX Services and Illustration. ItCraft is a mobile and web application development company that was established in the year 2010 and since then it has successfully completed more than 130 projects while working with over 50 clients globally. The in-house software delivers native mobile applications and Web solutions for a wide range of industries. Their expertise is visible in industries like healthcare, logistics, retail, m-commerce and Fintech. ItCraft has a team of 30+ app developers who are specialists in Java, Android & iOS along with UX/UI designers. Services: Cloud Backend Developing, Developers Outsourcing, Agile Mobile & web app development, Product design & technical analysis, Concept Development and Mobile App Marketing. UpTop is a full-stack service provider and some of its services include UX (user experience) design, product strategy and software development. With the help of these services, that helps businesses expand their reach on market opportunities and improve efficiencies by building digital experiences that are relevant to users. They aim at making their clients the leaders and visionaries they want to be with their app idea. UpTop helps innovators with a need for high-quality digital products. Services: Mobile Application Development, Web Apps & Website Designing, Software & SaaS, iPad App Development, Healthcare Solutions, Internet of Things, Cloud Computing and Android App Development. 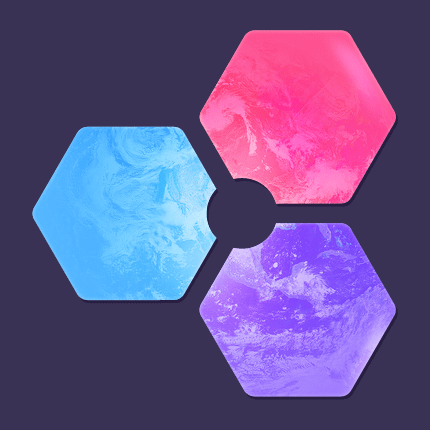 Appstem is a leading full-service mobile app design, strategy and development agency based in San Francisco that focuses on building applications that are made to serve a purpose. With more than 200 apps under its name, Appstem works with a highly experienced team that knows the right way to build successful apps. Some of their best-known clients range from leading brands like Enterprise, Johnson & Johnson and Tesla to emerging startups like DUFL, EmployeeChannel and Hubbub. Services: Android & iOS App Development, Social Experiment & Employee Wellness App Development, Marketing & Subscription App, Responsive Web App Development, Designing Websites and Game UI/UX Development. So, these are some of the best Healthcare & Medical App Development Companies that offer top-notch healthcare application development services to their clients. In addition to this, we would also like to mention that the above list has been curated after our team connected with many clients having different healthcare projects and collecting their feedback on working with the healthcare mobile app development service provider. 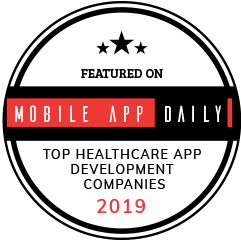 We really hope that this list of 'Top Healthcare App Development Companies 2019' will turn out to be of great value to you. And apart from that, you can rely on this list to hire an app development company for your next healthcare project. Also if you have any doubts or other queries related to the process of app development or healthcare application development, feel free to 'Contact Us' and we will try our best to resolve all your doubts as soon as possible.